Often, to get something done that really matters to us, we need to work with people we don't agree with or like or trust. Adam Kahane has faced this challenge many times, working on big issues like democracy and jobs and climate change and on everyday issues in organizations and families. He has learned that our conventional understanding of collaboration—that it requires a harmonious team that agrees on where it's going, how it's going to get there, and who needs to do what—is wrong. 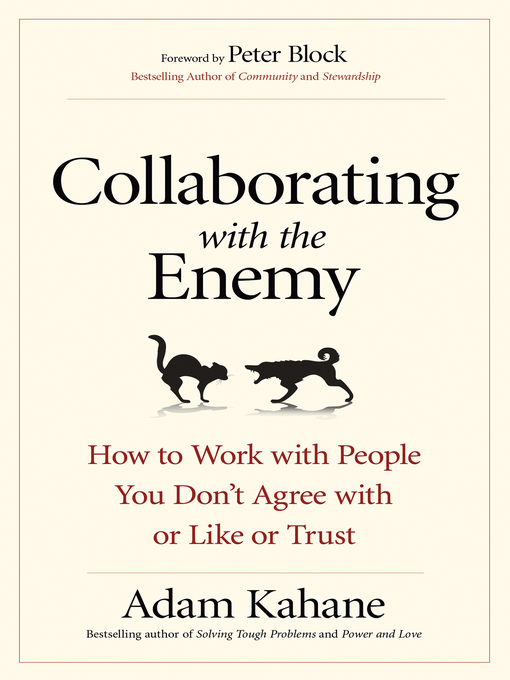 Instead, we need a new approach to collaboration that embraces discord, experimentation, and genuine cocreation—which is exactly what Kahane provides in this groundbreaking and timely book.